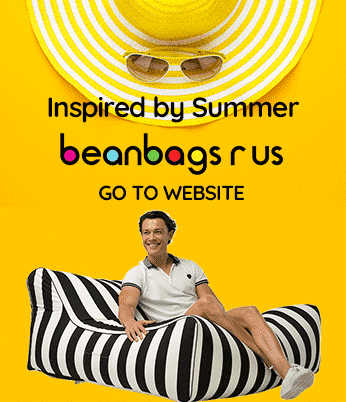 Bean Bags R Us NewsBean BagsHow Can BeanBags Help to Reduce Bicycle Injuries? How Can BeanBags Help to Reduce Bicycle Injuries? Bicycle safety is a serious issue, but a new helmet designed in Germany by Rockwell Headgear for Cyclists can minimize or prevent injuries and reduce fatalities. Standard bicycle helmets have remained about the same as they have been for the past several decades, but this new helmet uses bean bags instead of hard foam to disperse the force created in collisions. This helmet is not yet available to the public, but the technology behind it has already been put to use in medical applications. Studies have proven the helmet to be effective, and unlike most others, it is very attractive and comfortable to wear. Traditional bicycle helmets work very well, but some accidents are worse than others are, and the new technology employed by Rockwell could save lives while allowing riders to maintain a sense of style. Researchers have been studying new designs for bicycle helmets for quite some time, but no one has been able to develop a winning combination that includes safety, style and affordability. In the past year, two designers have released new types of helmets that have proven to absorb greater impacts than standard helmets, but they both have shortcomings. One developer invented a bicycle helmet that was inflatable. Even though it can effectively protect the brain from injuries, it looks like you are wearing a giant balloon on your head, and to make matters worse, it costs more than $580. 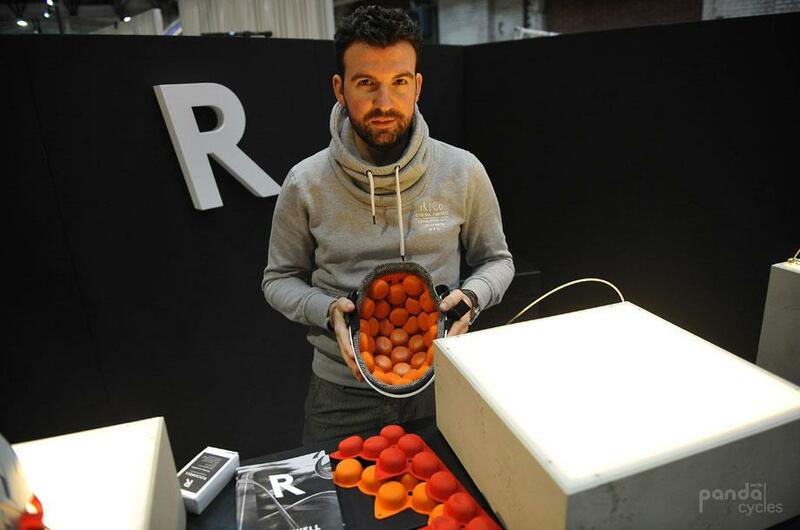 Another designer had a fabulous idea to use cardboard boxes as a cushioning material. These helmets are very practical when it comes to safety because they are lighter than traditional helmets and have three times the impact resistance. However, they have a transparent outer shell that shows all of the cardboard. This shell made people hesitant to buy them even though they are affordable. The new helmet by Rockwell Headgear, however, could become very popular because it is not only stronger than other helmets but also aesthetic and affordable. This helmet has a simple, three-part design that consists of an outer shell, an inner shell and a special lining made of bean bags, known as Vaco12. The outer shell of the helmet is made with hard plastic strips interwoven in a crisscross pattern while the inner shell has a breathable fabric that shows through the spaces in the outer shell. 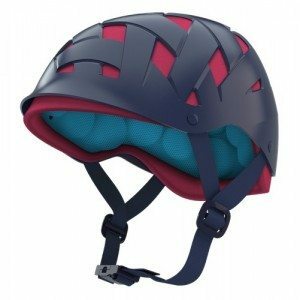 What makes this helmet exceptional is that several colour choices are available. The outer shell will be available in white, gray, blue and brown. The inner shell will be available in the following eight colours: light gray, dark gray, blue, green, lime, orange and red. The inner layer of the Rockwell helmet consists of a lining with several protruding pockets filled with tiny plastic beads. It is removable and replaceable but fits securely inside the helmet to protect your skull. This design provides several advantages over other helmets. The first is that the beads allow for a comfortable but secure fit because the Vaco12 system conforms to the exact shape of your head. Another benefit is that the helmet provides superior ventilation because the gaps in the outer shell allow air to circulate through it. Although Rockwell designed the bicycle helmet, the Vaco12 system was developed by Vacotechnology AG in Bavaria to be used for devices to assist in orthopaedic rehabilitation. This technology employs millions of small, round beads vacuum-sealed inside of several sacks attached to a length of pliable material. This material can then be used as an inner lining for helmets, and the beads give the wearer a snug fit while providing 400 percent greater protection than traditional helmets. The name Vaco12 derives from two important facts concerning the technology. The first is that the beads are sealed in a vacuum, and the second is that every bead comes into contact with 12 others. Each bead dissipates the force of an impact in 12 different directions, which is multiplied by a dozen with each successive bead. This is more efficient than hard foam, which simply absorbs the impact and allows any excess force to penetrate to the skull. Vaco12 technology has been used in the medical field for several years, but it is just now being marketed to the public in the form of safety helmets. The Rockwell bicycle helmets will be available soon at a cost of $160 to $205. Bicycle accidents can be very dangerous. According to the Centre for Accident Research & Road Safety (CARRS), 2,500 people are injured in Australia each year in bicycle accidents, and 35 of those are fatalities. As more people are turning to bicycles as a means of transport, the number of injuries only grows. But this may be prevented by Rockwell’s new helmet that employs the natural pliability and impact resistance of bean bags.